Perihelion, spaghetti, Florida Elvis and Batman ladies, Zika, bedbugs, space junk, and prosocial psychopaths. Today is Wednesday, January 4, the fourth day of 2017 in the Gregorian calendar, with 361 days remaining. 670 days until the 2018 midterm elections. 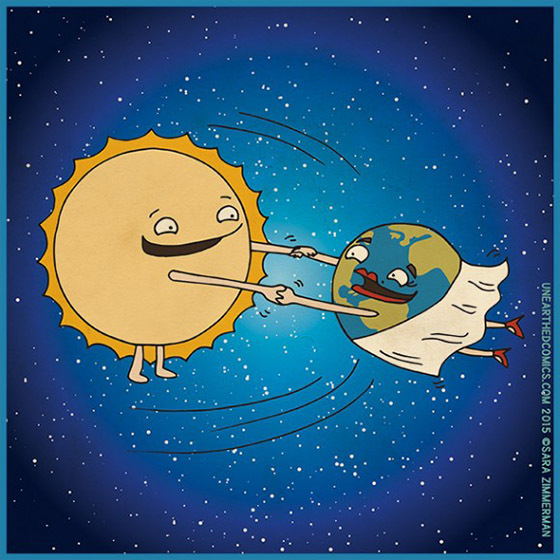 Today at 14:18 Universal Time (9:18 am EST) Earth reaches its perihelion, or closest point to the Sun- 91,404,322 miles. Among other things, today is also National Spaghetti Day. Spaghetti is the plural form of the Italian word spaghetto, which is a diminutive of spago, meaning "thin string" or "twine". A Florida man named Elvis shot at cows with an AR-15 from a car traveling on the Florida Turnpike. It appears no cows were injured. Elvis, however, is now firmly ensconced in the pokey. As are two Florida women who committed several armed robberies while dressed as Batman. As of this writing, The KGB Quotations Database contains 44,047 entries. Check it out. "When I face an issue of great import that cleaves both constituents and colleagues, I always take the same approach. I engage in deep deliberation and quiet contemplation. I wait to the last available minute and then I always vote with the losers. Because, my friend, the winners never remember and the losers never forget." Baltimore wins the dubious crown as the city with the biggest bedbug problem. Virtually unheard of in the U.S. ten years ago, bedbug infestations are becoming commonplace. An Orkin spokesman said "Anyone can get bed bugs in their home. They are not a sign of uncleanliness. Bed bugs only need blood to survive. We have treated for bed bugs in everything from million dollar homes to public housing." Check out the link above for tips on finding the little buggers. On the bright side, a major Zika virus outbreak is unlikely in the U.S. Exposure to mosquitoes in the United States is limited by widespread access to clean water, air conditioning, screened doors and windows, and other household amenities that most Americans take for granted. "So far, you know, we've been lucky." NASA Astronaut Piers Sellers observes about the millions of pieces of space junk orbiting the Earth. It could be that the litter in our celestial backyard will make space travel even more hazardous. In each of the last 104 weeks, at least one toddler in the United States has discharged a firearm, shooting himself or another person. Toddler shootings in the U.S. were up six percent in 2016. Add to the things about which you didn't realize you had to worry: you are probably not cleaning your bath towel anywhere near enough. Experts say you should use a towel no more than three times before washing it- provided you can dry it completely between uses. If the towel stays damp... you're taking a big chance. Which doesn't explain why any single men are still alive on the planet.